Amnesty Faults Italy For Conditions In Lampedusa : The Two-Way Amnesty International says Italy's government allowed the living conditions of Tunisian migrants to reach a crisis point, with only minimal amounts of water available, and little access to basic sanitary facilities. Italian leader Silvio Berlusconi discussed his government's handling of the migrant situation in Lampedusa Friday. Italy has shipped more than 2,000 migrants to detention camps on its mainland from the tiny clear-watered fishing and tourist island of Lampedusa. The Italian government failed to meet its human-rights obligations in dealing with thousands of Tunisian migrants on the small southern island of Lampedusa, says Amnesty International. The human rights group says Italy's government allowed the living conditions of the Tunisians to reach a crisis point, with only minimal amounts of water available, and little access to basic sanitary facilities. Italy's Prime Minister Silvio Berlusconi has blamed the crisis on Tunisia, saying its new government has done little to stop the exodus of people fleeing the country's recent unrest. Delegation member Charlotte Phillips said the Italian government had failed to deal with the emergency adequately and with urgency. She said, "We are shocked that people are unable to wash and unable to use toilets." Their conditions, she added, are well below standards of international law. The human rights group said the migrants were left with no information and without a screening process for those who want to seek political asylum. Writing on a blog at the Amnesty website, Phillips quotes a Tunisian man, 23, saying "The conditions in Lampedusa are miserable. I have not showered for five days and I am forced to go to the toilet in front of thousands of people." When Berlusconi visited Lampedusa Wednesday, he promised to "liberate" the island and remove some 6,200 migrants within a few days. But efforts to use ferries to send the Tunisians to other spots in Italy have been frustrated by rough seas. 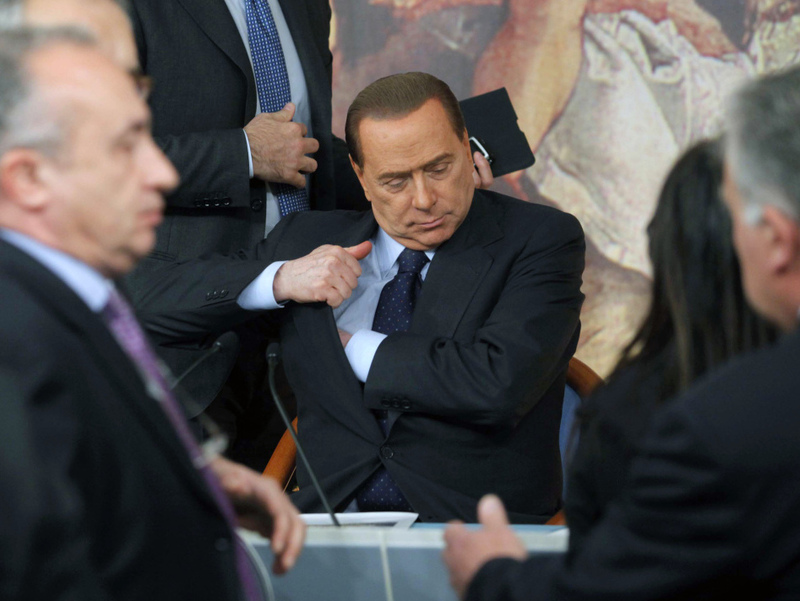 Berlusconi, who is scheduled to visit Tunisia Monday, has said that he is considering giving the migrants travel permits to let them travel to other countries on their own. And the BBC reports that Foreign Minister Franco Frattini has complained that Italy is getting little help from its European neighbors in handling the crisis. In particular, Frattini accused France of intercepting Tunisian migrants at the border and forcing them to return to Italy.